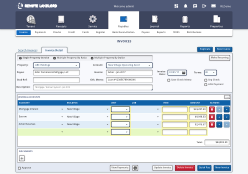 Remote Landlord is a unique product that merges a sophisticated accounting system together with an easy to use lease management system. The result is a property management system that requires minimal training, yet does everything a property manager needs. OUTSTANDING CUSTOMER SUPPORT. Get instant answers to your questions with unlimited and free support. DASHBOARD. The dashboard provides a visual snapshot of your most important information, such as how much rent was billed vs. collected this month, and who hasn’t paid the rent. Other information includes lease renewal activity, expiring leases, vacancy exposure, legal calendar and open service requests. 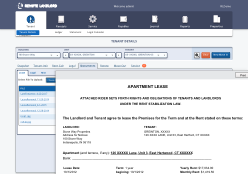 TENANT PORTAL. 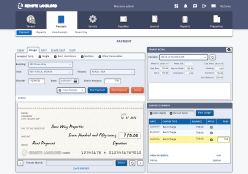 The tenant portal allows a tenant to make electronic payments, get current balances, and request maintenance. "I just processed my first batch of rent checks on your system. What used to take me an entire day took only a couple of hours!" 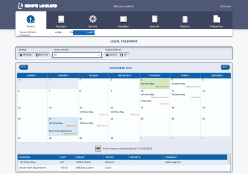 "I evaluated 6 or 7 property management software programs and the only one I really liked was Remote Landlord, and I am not easily impressed!" "The system is so user friendly that it only takes us about three hours to train a new employee." Please fill the form below to request a demo. 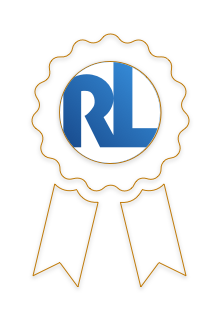 2017 Remote Landlord Systems, Inc. All Rights Reserved.